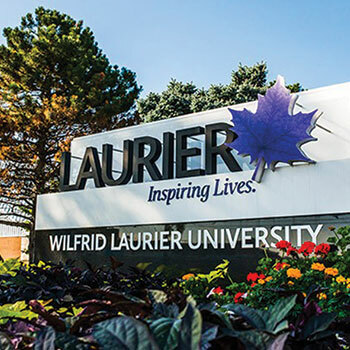 WATERLOO – Elections and appointments have been completed for membership on Wilfrid Laurier University’s Task Force on Freedom of Expression. The formation of the task force was announced by President and Vice-Chancellor Deborah MacLatchy on Nov. 17. The task force’s mandate is to develop a statement on freedom of expression that aligns with the principles of academic freedom, freedom of speech, and the mission, vision and values of the university. The task force is separate and distinct from the independent fact-finding initiative that reviewed recent events involving a meeting held with a Laurier teaching assistant, and will be chaired by Laurier Vice-President: Research and Acting Provost Robert Gordon. As detailed in the terms of reference, the task force consists of 13 members from across the university. These include seven faculty members; three students (two undergraduate students appointed by the Wilfrid Laurier University Students’ Union and one graduate student appointed by the Wilfrid Laurier University Graduate Student Association); plus the university’s vice-president: research and acting provost (who chairs the task force), the dean of the Faculty of Graduate and Postdoctoral Studies, and the vice-president: student affairs. As specified in the terms of reference, five faculty members were elected by the University Faculty Council and two were appointed by the task force chair from among those nominated. The rationale for appointing two faculty members, in addition to electing five, was to ensure that the final faculty complement satisfied the following requirements: at least two faculty members of Senate; faculty representatives from both the Brantford and Waterloo campuses; faculty representatives from at least three faculties; and a maximum of two contract academic staff or part-time librarians. Because the five elected faculty members satisfied all of these requirements, the chair, in appointing two faculty members, chose to appoint the full-time faculty member who had garnered the next highest number of votes and the contract academic staff member who had received the most votes among contract academic staff nominees. The resulting complement achieves broad representation on the task force. The task force will produce an open report recommending a statement on freedom of expression and practical guidelines for use in the classroom. As part of the process, it will ensure multiple avenues to engage the broader Laurier community and beyond in providing meaningful input into this report. It will draft the report, provide it to the university community for feedback, and then communicate the feedback when presenting the report to the university Senate for approval. The task force will begin meeting in January 2018 and is expected to conclude its work in March 2018. For more information, contact lauriersecretariat@wlu.ca.